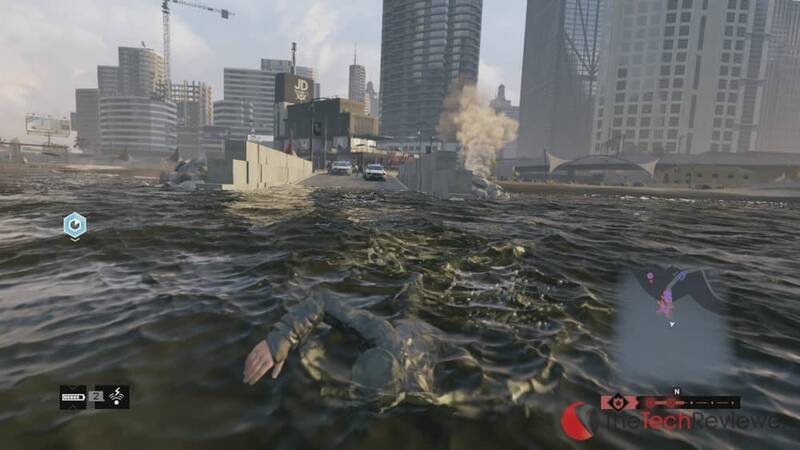 Ubisoft's Watch Dogs offers innovative gameplay mixed with a well written storyline. Ubisoft unveiled their latest flagship title, Watch Dogs, way back at 2012's E3 event. The game's launch was scheduled to coincide with the release of the Xbox One and PS4. Unfortunately, the game was not ready in time thus being postponed until it's recent release nearly two years after the initial announcement. I received my copy on the day it hit store shelves and put in a few hours each day until completing the campaign just last week. Despite some buggy or poorly executed elements that still managed to sneak into the final version, my overall opinion was positive and the experience prove to be an original take on the traditional open-world, sandbox concept. Throughout this review, I will be giving my honest opinion about Watch Dogs of which we did NOT receive a free copy (we paid just like everyone else). Rest assured, no outside influences or bias having played a role in the outcome of this review and all opinions are a direct result of my hands-on experience playing this game over the span of 30+ hours. 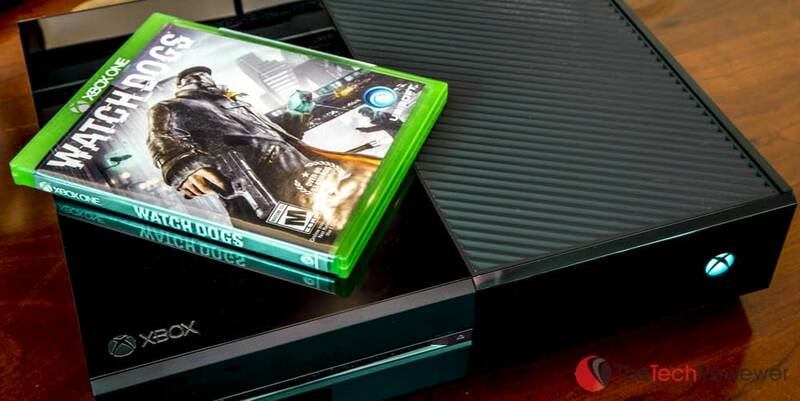 I was able to play Watch Dogs extensively on both the Xbox 360 and Xbox One platforms. While the graphics were impressive, I would honestly say the different between the two is marginal. As you'd expect, the Xbox One features a cleaner, more seamless experience with better transitions, textures, and dynamic lighting effects. Both versions utilize advanced effects like motion blur to capture high speed action in a more realistic manner. With that being said, I wouldn't say it blows the 360 version out of the water and most wouldn't notice the difference unless they were shown side-by-side comparison (as seen below). While this may be disappointing to some Xbox One owners, you need to remember the Xbox 360/PS3 versions are an example of the a previous generation console near the end of its lifespan thus being at the top of its graphic's capabilities. On the other hand, the Xbox One and PS4 versions are brand new consoles at the very beginning of their lifespan and developers have yet to truly tap into the visual potential of the next-gen consoles. The Watch Dogs' campaign follows a traditional plot where the main character, Aiden Pierce, seeks revenge on the person responsible for a hit on this family. The game takes place in Chicago, but I won't be going into anymore detail as I hate spoilers and think you should experience the campaign for yourself. The storyline deepens with excellent character development as well as the introduction of new characters along the way whom may or may not have played a role in the hit on Aiden's family. There are several unexpected plot twists, backstabbing among main characters, and even a bit of humor rolled into the dialogue especially when dealing with Aiden's associate Jordi Chin. The cut scenes are well-executed with nice visuals, transitions, and audio thanks to an excellent cast of voice actors. The cinematics allow you to easily immerse yourself into the storyline and get a clear understanding for Aiden's thought process and overwhelming urge to find the man responsible for ruining his family and his life. If you've ever wondered what Grand Theft Auto mixed with Splinter Cell title would result in, Watch Dogs is likely the closest you will get to this combination. The open-world, sandbox environment provides all the fun of free-roaming and causing chaos within the city of Chicago while still offering stealthy missions, a clean and precise method of aiming, and complex hacking abilities which gives the title a real Splinter-Cell feel that gamers like myself can appreciate. 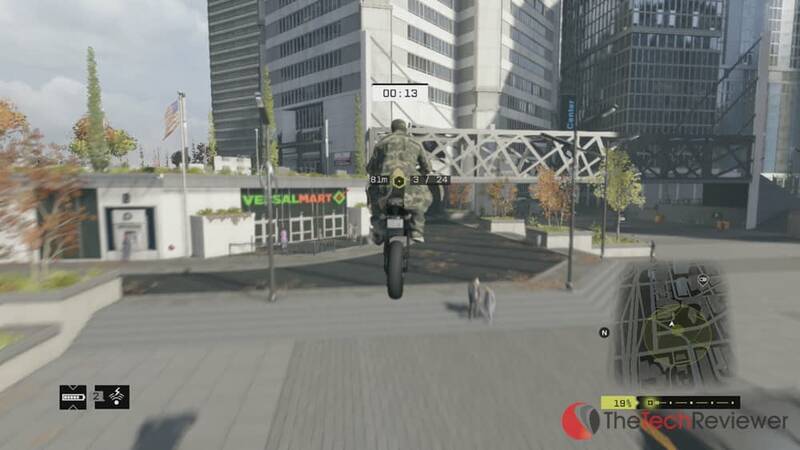 Watch Dogs' revolutionary use of hacking adds another level of complication to an already complex open-world title although Ubisoft was able execute this element quite nicely. 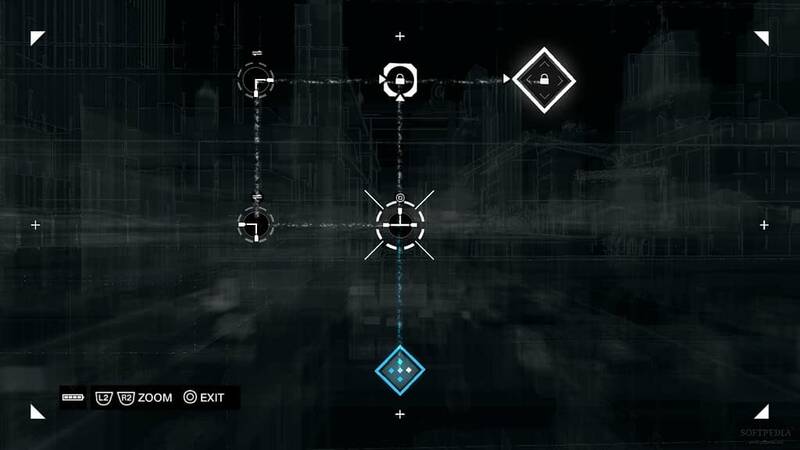 Most of your controls are taken straight from Assassins including the ability to free-run in which Aiden will automatically interact with any obstacles he may encounter. 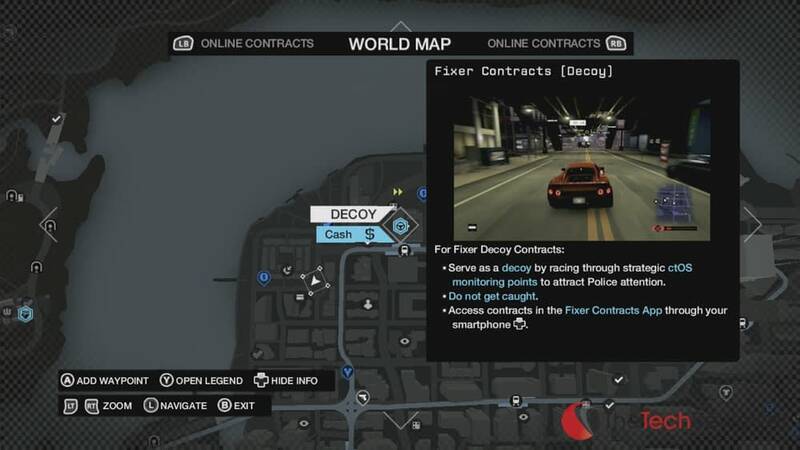 Hacking can be accomplished both when stationary or while in a high-speed pursuit by holding down the “hack” button (varies by console) for a few seconds when prompted. Aiden can sprint using the right trigger and surprisingly enough, he has unlimited stamina meaning he can sprint for an endless period of time without getting tired. When manning a boat or car, the controls are the same as you'd expect from a game like GTA V so there isn't much of a learning curve for modern gamers. The aiming system is much better than GTA V‘s in my opinion and is easy to master as it offers a Splinter Cell-like feel to it. I was able to hone in and craft my skills over the course of the campaign and it didn't take long before I was good enough to have Aiden pop up from cover for a only second or two while successfully pulling off a one-shot, headshot 9 out of 10 times. Throughout the game, you will receive experience points for milestones like completing campaign or side-missions, participating in mini-games, escaping enemy or police pursuits, and intervening on crime. Depending on the task at hand, you're often awarded with bonus points when taking out enemies silently via a headshot or approaching them for a close-quarters, non-lethal takedown. These XP points can be used to unlock new hacking abilities, character attributes, explosive weaponry, and gameplay characteristics. 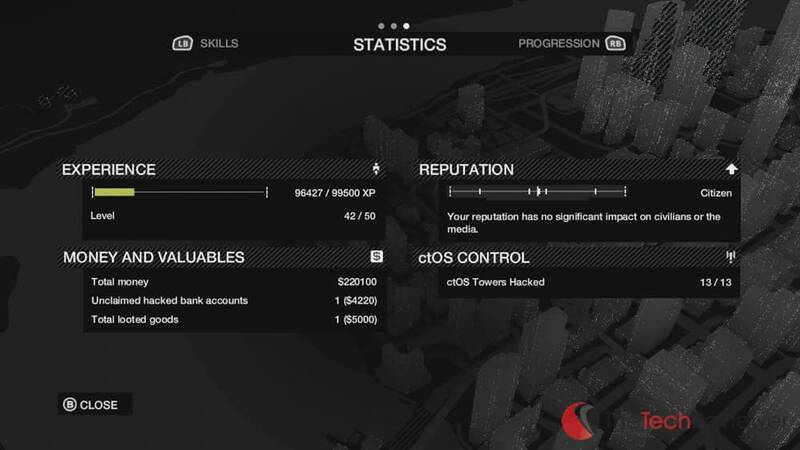 You are given similar XP for completing both campaign and side missions so my tactic was to delay my campaign progress and explore the world, completing easier side missions like fixer contracts, criminal convoys, gang hideouts, and intervening on crimes as it allowed me to rank up quickly then I was able to unlock core hacking and combat skills which came in handy for the campaign missions. If you choose to complete the campaign before venturing much into these side missions, you may find yourself at a disadvantage as you'll be behind on the ranking process. Watch Dogs' core feature is the ability to hack the world around you and Ubisoft did an excellent job integrating this component within the storyline and general gameplay. From the start of the game, Aiden's hacking abilities are rather limited although you gain more skills and abilities as you accumulate XP and level up as well as infiltrating ctOS beacons which enable more opportunities vulnerabilities to take advantage of. Hacking is far less complicated than one might expect and throwing in a hack on the fly such as during a car pursuit is easy if your paying attention. Once you've gained control of a ctOS station, you can hack into pedestrians phones and gain access to their bank accounts, text messages, phone calls, and network keys which are be used to craft certain items. If you want access to the money in their accounts, you must travel to one of many ATMs scattered throughout the world to withdraw it. I will warn you, some of the hacking abilities that you can unlock sound awesome although they are much less impressive when it comes to their actual use. For example, the ability deploying spike strips or blowing up power transformers sound ridiculously cool, but I came to find them virtually useless as you barely encounter them in situations where they would be useful. The hacking abilities I found most beneficial were steam pipes, bridges, and blockers as these accounted for the most destruction to my enemies' vehicles thus allowing me a safe getaway. At the end of most core missions or objectives, you'll be face with the task of hacking a primary server or another similar hackable target. While most hacking simply requires you to hold down the “hack button” for a few seconds, these primary hacking objectives require you to complete a puzzle that resembles a power or data grid. It is similar to the hacking puzzles found within the BioShock series although it differs slightly in terms of execution. In some cases, these puzzles offer certain pieces which will trigger a timer that will interrupt your hack when it expires or even alert enemies of a network intrusion. While the Watch Dogs' campaign is extensive, there is a ton of additional side missions and mini-games to be played during or after you finish the main storyline. I'll give a brief run-down of the side mission categories to give you an idea of what to expect. To give you a better idea of how much extra content there is outside of the main storyline, I have was only at 44.6% through beating the game in its entirety despite having the campaign completed. Throughout the game, Aiden is able to harness a variety of weaponry to overcome his enemies. At his disposal is a wide variety of weapons ranging from a 1911 pistol all the way up to a 50-caliber sniper rifle deemed the ‘Destroyer'. You have two ways of unlocking and obtaining new weapons.  You can either go to a gun shop located in various places around the world (shown on mini-map) or you can pick up the weapons of fallen enemies which will unlock them for future use. Once you have unlocked these weapons, they are available for use for the rest of the game and ammunition can be replenished via ammo pickups or bought at a gun shop. In GTA V, you can walk up to a pedestrian or enemy and punch them with your bare fist. 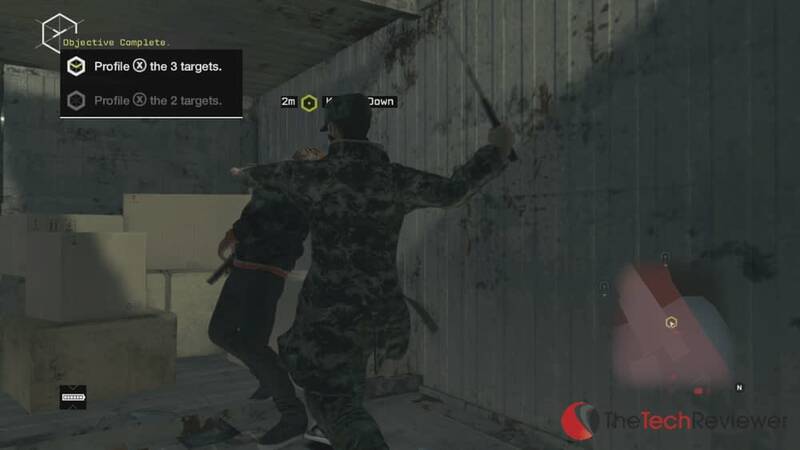 In Watch Dogs, there is no hand to hand combat element although you are able to whip out a baton and take down enemies in a cinematic fashion if you are within a close enough perimeter. This baton takedown will not work on your everyday civilians, only characters who are deemed as enemies to Aiden. Besides the baton, you cannot pick up melee weapons like baseball bats or knives even though some enemies such as gang members will sometimes try to use them against you. Secondly, you can carry all your weapons on your body at once. So if you own all 9 pistols, you can bring up the weapon menu and browse through all 9 options until you determine your pistol of choice. While unrealistic, this is convenient when your on a mission that may require a variety of weapons. From my experience, I'd recommend any new players save up and buy the GL-94 semi-auto rocket launcher as well as the Destroyer 50-cal sniper rifle as early as possible since both these weapons made tough missions much easier to complete since you could take out a wide-range of enemies without putting yourself in much danger. I wouldn't bother spending any money the mid-range weapons as they are not that much better than the lower-end weapons and can be unlocked from your enemies quite easily. Since I chose to complete most the missions in a stealthily Splinter Cell-style approach, I would have loved to see a wider variety of silenced weapons. As with most other game titles, silenced weapons will help keep you incognito and allow you infiltrate an enemy hideout without setting off any alarms or calling any reinforcements. However, UbiSoft only added two guns that had silencers (a 1911 and a Mac-11) whereas I felt as though I should have had the option to upgrade my 50-cal or AK-47 with a silencer at a gun-shop. Due to this limitation, I completed 90% of my missions and objectives by strictly utilizing the silenced 1911 which is dubbed as the ‘Spec-Ops' edition. While it got the job done nicely, it did get boring to rely on a single gun for majority of the campaign. As you'd expect, a game like this involves a heck of a lot of driving. The vehicle variety is extensive and you'll find traditional sedans, SUVs, coupes, and motorcycles as well as exotic cars, garbage trucks, ambulances, ice cream trucks, burrito vans, and more. Some models do resemble real-life cars although there aren't any exact replicas due to legal reasons and the resemblance isn't as noticeable as GTA V‘s car line-up. You can travel by waterways if you'd like, but the variety of boats you will encounter are slim and frankly the water isn't all that good for much besides evading the police (see ‘police encounters & chases' section below for more details). There doesn't seem to be any jet ski options nor can you take to the skies on a helicopter, jet or plane like in GTA V.
Similar to GTA V, there is a car on demand feature where you can have unlocked cars delivered to a close proximity to your location. Keep in mind, this feature is only available when you are not currently within an active mission. If you want travel faster than driving, you can take the train or fast travel to any unlocked safe-house (again only when a mission is not active). 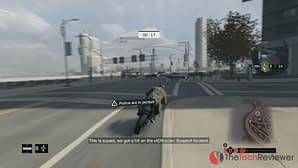 High speed chases are one of the most popular things to do in a sandbox title such as Watch Dogs. Due there is the innovative hacking element, these pursuits can be addictingly fun. 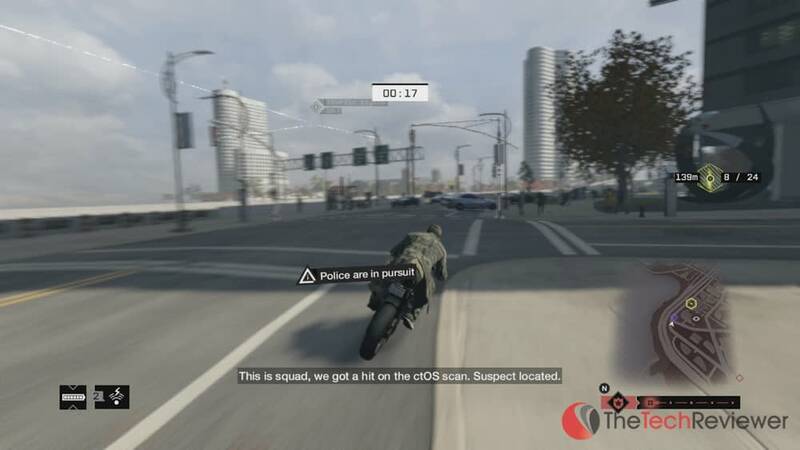 With that being said, Ubisoft seemed to have dropped the ball with coding the AI for the police. Unlike GTA V, you are unable to get “busted” and the cops will never try to arrest you. They will just come out guns blazing and shoot to kill which makes it slightly annoying as your notoriety is penalized for killing cops. To combat this issue, you are able to shoot cops in the kneecaps to disable them without causing a fatality and hurting your character's reputation. 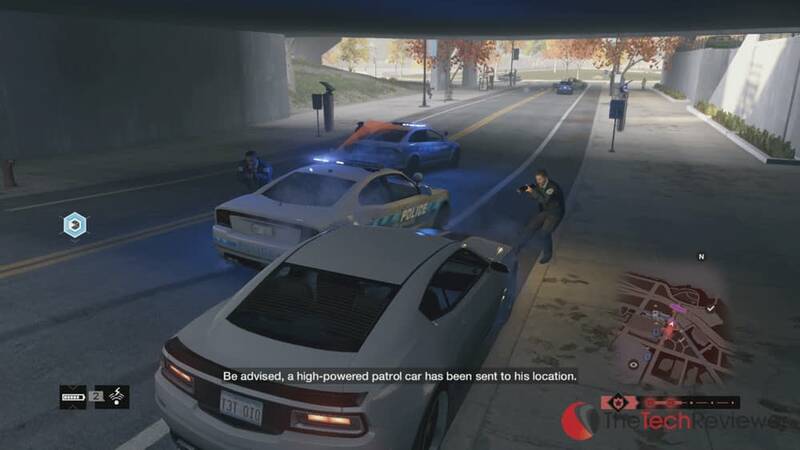 In the GTA series, it is not uncommon to encounter cops in the city while cruising through missions or free-roaming and these situations sometimes result in an unexpected police pursuit. 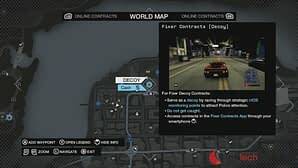 Throughout my time playing the title, I never once saw a single cop car patrolling through the streets and the only time I incurred a wanted level by police was during a mission or when a citizen successfully called the cops after I stole their car or killed a pedestrian. Swimming away from the cops is a simple getaway. The most notable flaw with the police is their lack of presence on the waterways as they have no ability to pursue you if you hop in a boat or simply swim into the middle of water. They are able to continue watching you from above via a helicopter (which can easily be hacked or shot down), but the cops will not chase you on the water so it'll be an instant escape every single time you hit the water. 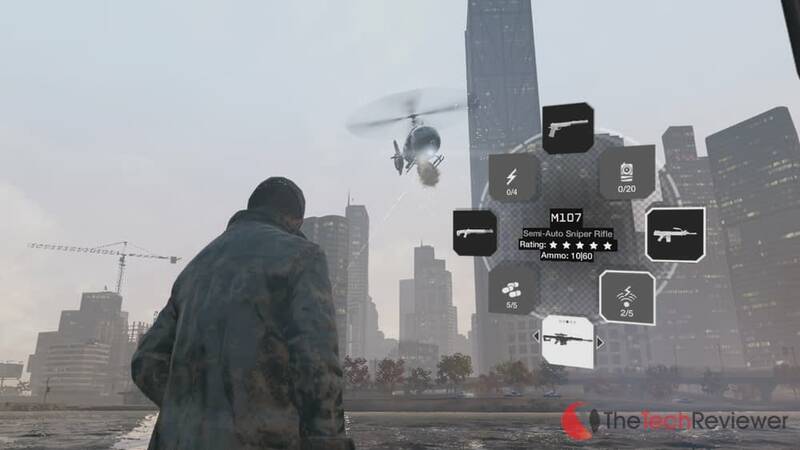 Watch Dogs' primary focus is the single-player campaign, but there are also an array of multiplayer game modes available. In a similar situation to GTA V‘s launch, Ubisoft was not prepared for the influx of gamers that would be utilizing their uPlay service so the multiplayer functionality was not functional for the first few days. I think the uPlay integration does more harm than good as it offers an extra hassle when logging on and appears to bog down the multiplayer component without offering any overwhelming benefits. I hopped onto the multiplayer the second week after its release and was able to join a game without any issues. I focused mainly on the Decryption mode as it was the most appealing to me and seemed to be main focus for Ubisoft when it came to marketing the multiplayer elements of the game. Well the concept was entertaining, it seems to have been poorly executed as the 5 or so games that I played all suffered from terrible lagg. To make matters worse, this lag often resulted in my teammates leaving which left me in a 4 on 1 situation as the servers will not allow new players to join mid-game. I think Watch Dogs has excellent potential for an innovative multi-player experience, but Ubisoft they dropped the ball on this one and left an experience that had much more to be desired. I've found Ubisoft's Watch Dogs to be a stellar next-gen title that brought forth a refreshing take on the traditional open-world, sandbox concept. The storyline is well written with excellent cinematics and a solid cast of voice actors. While the campaign and overall gameplay is refreshingly addicting, the multiplayer elements are executed poorly and unfortunately left much to be desired. Despite the minor downfalls, I would still recommend Watch Dogs to any prospective gamers as I believe it is only of the best campaigns for in this genre of games and rivals GTA V in most aspects.